Trying to out-Thing me huh Mark? haha Great work!! Indescribably good, Mark. 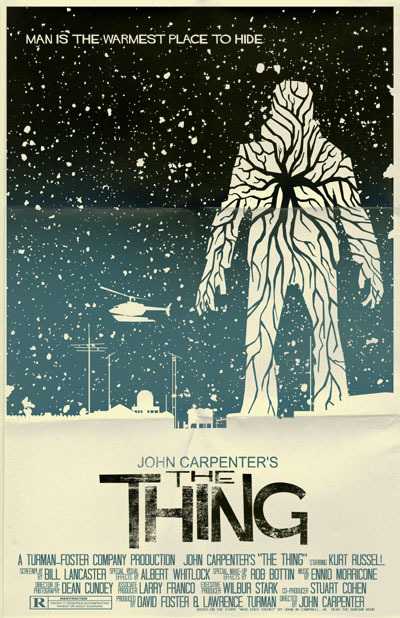 Love how interpreted the "Thing." This is really great, very nice job Mark. No way, Adam! You at least attempted to draw something. Heh. This is a Thing poster I did a little while ago that just happened to coincide with this month's theme. Glad people dig it! This is great Mark! Very Saul Bass-esq. Love the strap-line. That's funny you happened to have it kick'n around. Great stuff man.